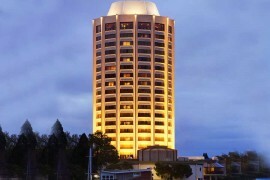 The number one world High Limit pokie game to play at online casinos is Alawin. 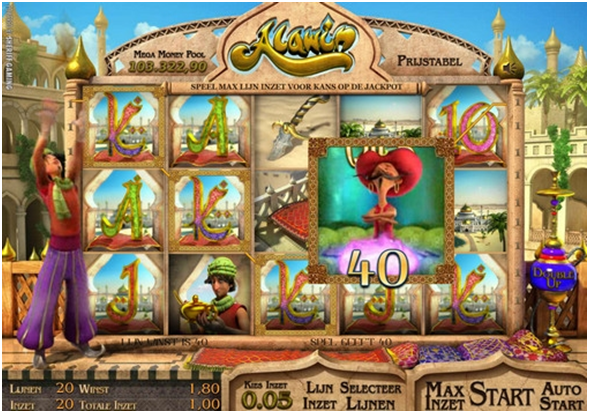 This pokies game developed by Sheriff gaming is progressive online pokies that takes you deep into Middle Eastern folklore, to the heroic and brave Alawin, who is only trying to make a better life for himself and escape poverty. Together with his magic lamp, genie, and magic carpet, Alawin is destined for success. It is a fantasy themed pokies games but surely a high limit pokie which players can enjoy. You will quickly find that the game is just as fun as the story and the movie, and will not be disappointed. 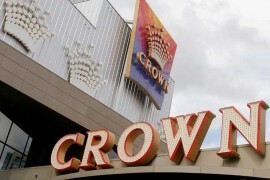 Alawin is a five-reel pokies with twenty different pay lines. 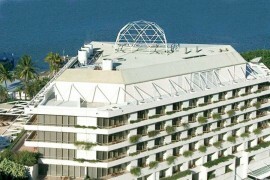 It uses 3D animation to bring the characters to life for player’s enjoyment. There are seven symbols that are used on the spinning reels, Alawin, the dagger, palace, the bazaar salesman, magic carpet and the player card symbols 10, J, Q, K, and A. The font of the letters fit into the theme of the Middle East rather than looking as if they came straight out of a deck of cards. Alawin has many special features. The bazaar salesman acts as the wild card for the game, and can be substituted for any other symbol in order to make the highest paying match for the spin. However, he only appears on the second, third, and fourth reel and cannot be swapped out for Alawin or the magic carpet. When users achieve any kind of line win, the double up button is activated, and if players can accurately guess the coin toss, they can double their winnings. There are two bonus round games with this pokies, the Click Me Game, and the Feature Bonus. The Click Me Game is activated when three magic carpets appear on reels 1, 3, and 5. The carpets can appear anywhere on the reel in order to activate the game. 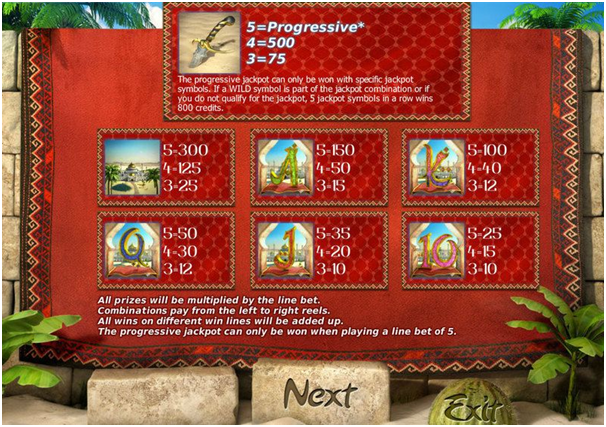 Players will then be faced with three symbols, and after choosing them will receive a number of free spins or instant prizes. Users can play the second bonus round game, the Feature bonus, when the reels show Alawin anywhere on the first, second, and third reels. Players will choose from a selection of baskets in order to win a variety of multipliers and coins. Get three Magic Carpets to appear anywhere on reels 1, 3 and 5 at the same time and you will trigger the Click Me Game. Click one of the three symbols to reveal instant prize or free spins. Receive three Alawin symbols in any position on reels 1, 2 and 3 simultaneously to unlock the Feature Bonus. Select baskets to reveal instant credits and multipliers and keep doing this until you see collect. Double Up button becomes active after any line win. Guess correctly whether the next coin toss will result in heads or tails and double your winnings. 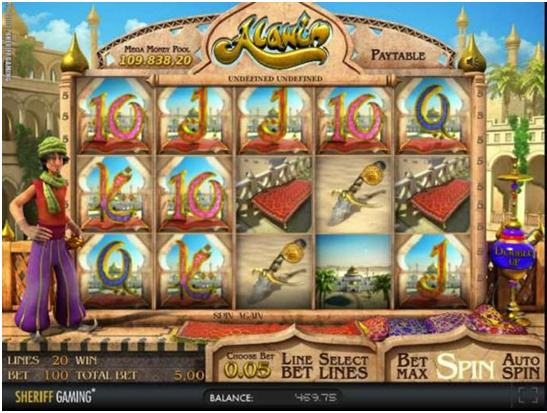 The icons with images of the sultan’s palace and different values of playing cards, designed in the oriental style, appear at the reels of Alawin video slot. The special symbols, such as Wild (a sultan), Jackpot (a blade), Click Me Bonus (a flying carpet) and Bonus (Alawin), also take part in the game. Wild can be dropped out only at the three central reels. 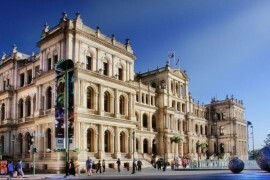 It is not paid on its own, but can replace other standard symbols, if it is necessary to help making the combination. Bonus Click Me appears only at the first, third and fifth reels. When it happens in the same time, you can take part in the round of free spins. 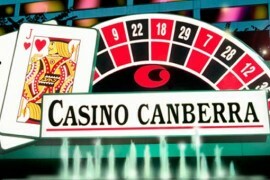 Bonus – three such symbols in any position of the screen trigger the thematic bonus game of Alawin pokie machine. Alawin video pokies offers the players two bonus games as said aove Click Me round is getting started at the main screen of the game. 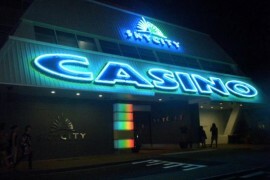 You would have to choose one of the symbols to find out, how many free spins you are accessed to. Then the prize spins are started by the current bet. In the thematic bonus round you would find yourself at the oriental bazar with the main hero of the game. You would help him to open the baskets with prizes in hope not to face the snake. The round finishes as soon as you find Collect capture. Alawin is linked to Sheriff Gaming’s Mega Money Pool Progressive Jackpot that is becoming increasingly popular among online gamers. Simply receive five Dagger symbols on an active payline and the top prize will be yours. Nevertheless, it has to be noted that the progressive jackpot can only be won when wagering maximum five coins per line. So if you spin five daggers on one of your active pay lines, the highest jackpot of 1,500 coins is won. The good news is that you can use coins as small a 0.01 or as large as 5.00 and each denomination has it’s own jackpot so the game is available to every bankroll, if even for a few spins. If you happen to hit the winning combination of five Scimitar with less than 100 coins bet, or if one or more of the icons is a wild symbol, the payout is capped at 800x line bet. Why to use and why not to play gamble feature in high limit pokies games?